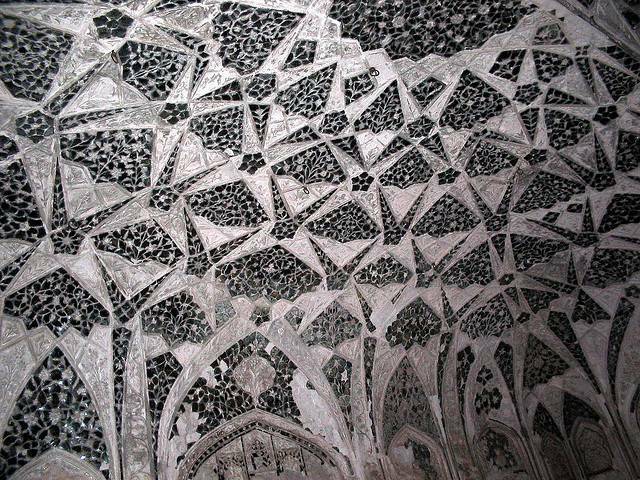 Sheesh Mahal or the ‘Glass Palace’ is also one of the surviving architectural wonders inside the Khas Mahal in Agra Fort. It was commonly used as the Summer Palace by the Mughal princes as it was structured in such a way that it kept the Mahal cool from Agra’s heat. Water devices were installed with fountains and a waterfall inside the Palace. It was originally adorned with the finest glass pieces imported from Syria in order to reflect sunlight into the thick palace walls.